The ebb and flow of suspense in a novel is what keeps readers turning pages to the end. Tension is a must in a story. How do you create it and keep it going? One way is to make your main characters badly want something that’s difficult for them to achieve. Continually thwart their efforts and expectations. Make them take risks that may or may not pan out. Keep readers guessing to the end as to whether they will succeed or fail. 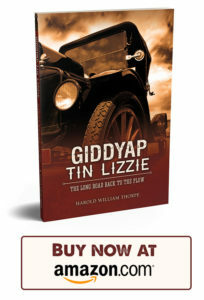 In Giddyap Tin Lizzie, for example, Will O’Shaughnessy dreams of having his own farm. However, early on, his grandfather disinherits Will, leaving the family farm to his brother, Frank. For awhile, Will has no money to buy his own farm. Later, however, he becomes wealthy enough selling cars in town that he can afford to return to the plow. But he’s not sure, then, that he wants to go back to hard scrabble farm life. See the ebb and flow of tension? It not clear until the end whether Will can ever achieve his lifelong ambition. Your setting can mirror your character’s emotional state as another tension creator. Early in Giddyap Tin Lizzie, Will milks cows and ponders his future, shortly after the tragedy that determines his fate has occurred nearby. Thunder shakes the building and lightning flashes through the windows. Bess, a heifer that has just lost her first calf, lets out a mournful bellow. Her first cry pierces the wind and driving rain. Her second cry and then a series of quick, desperate calls are an eerie complement to the setting. In another example of how to stretch a scene, Catherine—alone, freezing and desperate—tries to save the recently purchased chicks, while Ruby goes for help. We don’t know Catherine’s and the chick’s fate until the end of the story. You can also build tension by playing to readers’ senses. When describing a sick character you can describe how his breath comes in “short shallow gasps,” and his skin turns blue. He screams in pain and his body shakes so hard that his teeth chatter. He gasps for air, coughs, and spits phlegm. With each symptom or physical manifestation of the illness, you are creating tension and leading the reader forward to learn what will become of the patient. Will the character live or die? As long as that question is out there, unanswered, the scene has tension. You’ll want to keep the tension fluid. Move from one intense situation to another. 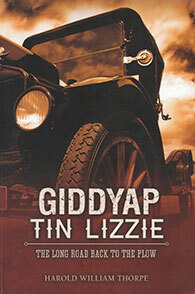 Over the course of three pages of Giddyap Tin Lizzie, one character commits suicide, another is shot, and a third is arrested for murder. However, don’t keep the reader in a state of anxiety indefinitely. Take a break from intense segments by periodically inserting calmer scenes. The calmer scenes can introduce passages like ones that describe the farmstead, have the family enjoy a picnic together, or describe the father’s relaxation while he fishes on the river. Finally, fill your reader’s minds with worries about possible future events. 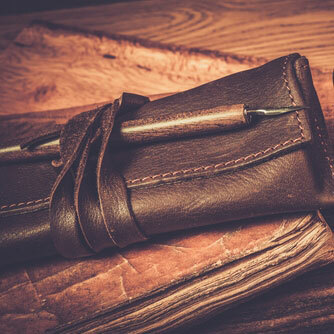 Keep as many plot threads as possible open-ended until the story concludes. In Bittersweet Harvest, will Will ever start a co-op? Will cousin Gusta permanently disrupt the family’s harmony? Can Will keep his farm? Or, as Grandpa Duffy predicted, will he sink under the weight of the responsibility? You can tell how badly an aunt in your family wanted to attend college, but don’t tell that she finally reached that goal until you’ve told other information about her. Information that reveals the degree of her desire to accomplish her goal. Perhaps how she studied into the night, turned down a marriage proposal, and lived frugally while saving every dollar she could to finance her prospective education. You can show cousin Jane’s reactions when reading an Edgar Allen Poe story during the dark of night with lightening flashing through her windows. You can produce tension in many ways, but however you do it, it’ll add suspense and excitement to your story. We are actively updating all the articles in the Write Your Family Story series. In addition, we will be pulling all 8 articles together into a single downloadable PDF. Join my email list to receive updates and the link to that document as soon as it is ready. Next in the Write Your Family Story series: Part 6 – Choices.